With all awful news coming to us from everywhere these days, it’s wonderful to get positive news for once: Iraq appointed their first female mayor for Baghdad, Thikra Alwash (in some news spelled Zekra Alwach), and she is set to take up duties in her office as by today, Sunday February 22. In a country where women are fighting a slow battle against inequalities in many fields, a battle that is constantly facing set-backs due to the domestic conflicts, such an appointment is an important gesture to all of the country’s women. 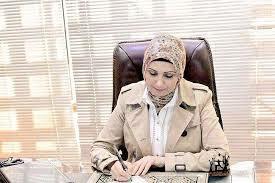 Although women traditionally have held many high political positions in Iraq – both during Saddam Hussein’s regime and after the US invasion – Ms Awash is supposedly the first one to hold the position of being a mayor. According to Daily Star Lebanon, Ms Awash is a civil engineer by background and was previously the Director General of the Ministry of Higher Education – this is also stated in her Linkedin profile. In Ms Awash’s new role as a mayor she will be dealing directly with the Prime Minister Haider al-Abadi and will therefore be able to push her agenda, the agenda of the city of Baghdad, on a high level. Some voices today criticised Ms Awash’s lack of political experience, and the fact that her predecessor Naim Aboub was removed by the prime minister in the blink of an eye. But still so, the choice of a female mayor in a time when dangerous, backwards powers are threatening the country of Iraq, is a brave and forward one. Let’s all keep our fingers crossed for Ms Awash and what the future holds for her, as well as her fellow Iraqi sisters. Good news, as you state, is so welcome these days!